If you are like the majority of people, you use the internet to search for health information. In fact, during my PhD studies, I found that care partners with someone with dementia look up health information more than the general public. While it is great that there is so much information out there and that people are sharing experiences and research, it can also be overwhelming. Especially if you don’t know how to tell if the information you are getting is accurate and reliable. Luckily, there is the NGO (non-governmental organization) Health On the Net. They strive to ensure that the public gets safe, quality health information and have trusted sources to go to. Some 7’300 sites are now formal HONcode subscribers, that is, they have a unique ID number and are indexed by us. About 80 per cent of these are US sites, but the proportion of European and other non-US sites is growing. The HONcode now exists in 34 language versions, in addition to English (see, for example, http://www.hon.ch/HONcode/Chinese/). 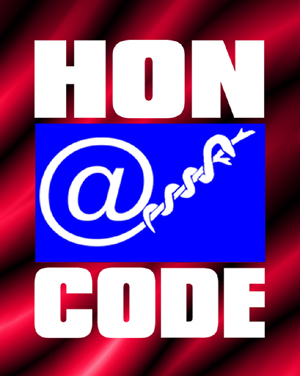 Look for the HONcode seal, often on the bottom of the webpage. Add the term HONcode to a Google search. Use Khresmoi, a search engine bringing together certified sites. This entry was tagged eHealth, health information, Health On the Net, HON, search. Bookmark the permalink. Interesting useful advice. Thank you. Thanks – hopefully people will bookmark the pages to know where to look for their health information!